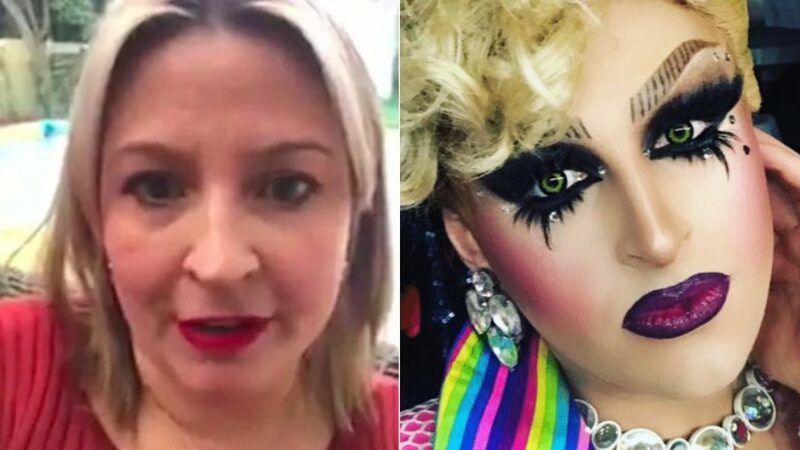 "The bright showy colours are a front for a world of darkness and depravity"
An Australian ‘mummy blogger’ known for her anti-LGBTI politics has attacked a drag queen for reading to children in a community program. Marijke Rancie, known as Political Posting Mumma, wrote on her Facebook page that she was “shocked” to hear about Sydney drag queen Hannah Conda reading to kids at Drag Story Time in Erskineville, an event intended to teach about diversity while encouraging a love of reading. While Rancie’s post was mild in its content, some of her followers reacted viciously. “The frightening thing is that children cannot tell how sick this is,” wrote one person. Another alluded to child abuse. “This is child grooming,” they commented. Others called drag queens “disgusting”, “freaks” and “perverted”. Despite all the homophobic and transphobic comments, some people rushed to defend Hannah and the reading program. “Online bullying is not welcome,” wrote one person. Organiser Jolene Evans also weighed in. “We’ve had three very successful events so far and it’s pretty simple: if you don’t like it, don’t take your child,” she posted. Hannah told Gay Star News that she was upset by the aggressive and offensive comments made by Rancie’s followers. “I spiralled into a place where I felt unsafe, uncomfortable and really sad for the world,” she said. Hannah extended an invitation to Rancie to attend a drag event to educate herself. 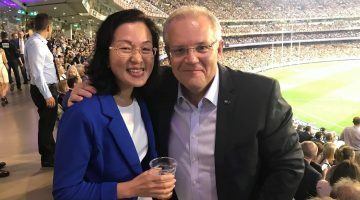 “If she allowed herself to open up and see our side of the world, maybe she would be able to have some empathy and realise we are just people like her,” Hannah said. The blogger declined the invitation, claiming her safety would be at risk. “I couldn’t possibly take her up on that kind offer after many of her supporters have threatened violence against myself, my friends and my children,” she said. Rancie was the centre of controversy last year after attacking LGBTI youth group Minus18, calling it a “disgusting program”. She publicly shared photos of one of the group’s youth workers in an attempt to shame her. “We deplore abuse and harassment in any form, and our mission is to stand up against the daily queerphobia that our most vulnerable experience,” said CEO Micah Scott at the time.